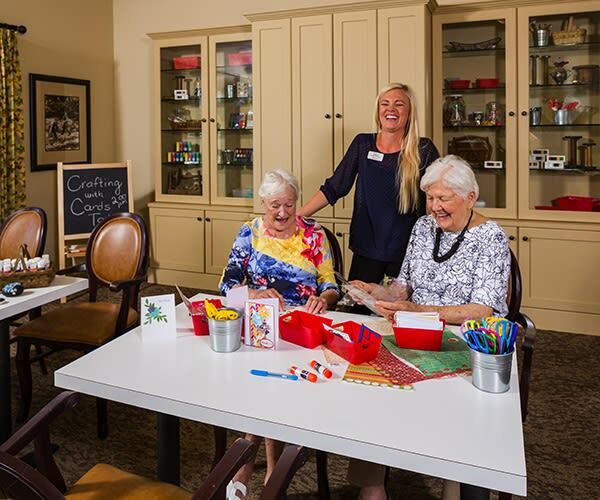 Sterling Inn seniors benefit greatly from regular participation in activities. Having a variety of events available increases happiness, self-worth, develops friendships, physically strengthens, and preserves both cognitive and physical health during the aging process. Our residents are offered a variety of activities designed around their interests. Whether they join our one or our fitness classes such as Exercise with Ernie from the Victorville Valley College, bi-weekly live entertainment with Happy Trails country music, or our Sterling Inn Choir Group, our residents enhance their aging journey by remaining active. At Sterling Inn, we love to have family visit and participate in events, so come visit our community for yourself to see what is happening today. Ask us about our monthly Family Night Bunco Parties.